Computer audio sound cards are the norm at nearly all radio stations. I often wonder, am I using the best audio quality sound card? There are some trade offs on the quality vs. cost curve. At the expensive end of the curve, one can spend a lot of money for an excellent sound card. The question is, is it worth it? The laws of diminishing returns states: No. High quality reproduction audio can be obtained for a reasonable price. The one possible exception to that rule would be production studios, especially where music mix downs occur. I would establish the basic requirement for a professional sound card is balanced audio in and out, either analog, digital or preferably, both. Almost all sound cards work on PCI buss architecture, some are available with PCMCIA (laptop) or USB. 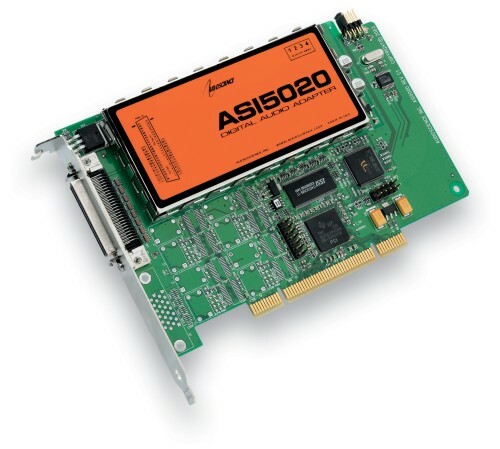 For permanent installations, an internal PCI buss card is preferred. The first and preferred general all around sound card that I use is the Digigram VX222HR series. 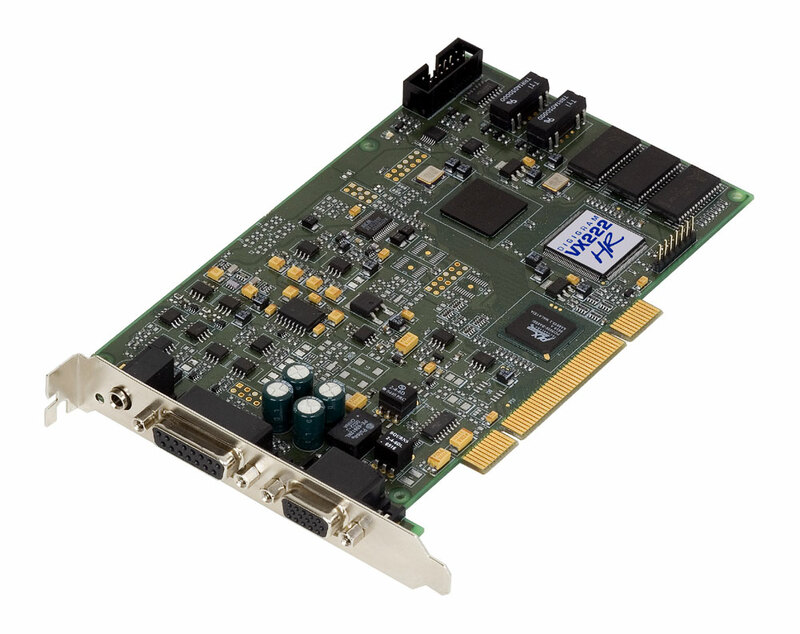 This is a mid price range PCI card, running about $525.00 per copy. These are the cards preferred by BE Audiovault, ENCO and others. I have found them to be easy to install with copious documentation and driver downloads available on line. The VX series cards are available in 2, 4, 8, or 12 input/output configurations. The HR suffix stands for “High Resolution,” which indicates 192 KHz sample rate. This card is capable of generating baseband composite audio, including RDS and subcarriers, with a program like Breakaway Broadcast. Next is the Lynx L22-PCI. This card comes with a rudimentary 16 channel mixer program. I have found them to be durable and slightly more flexible than the Digigram cards. They run about $670.00 each. Again, capable of 192 KHz sample rate on the analog input/outputs. Like Digigram, Lynx has several other sound cards with multiple input/outputs which are appropriate for broadcast applications. 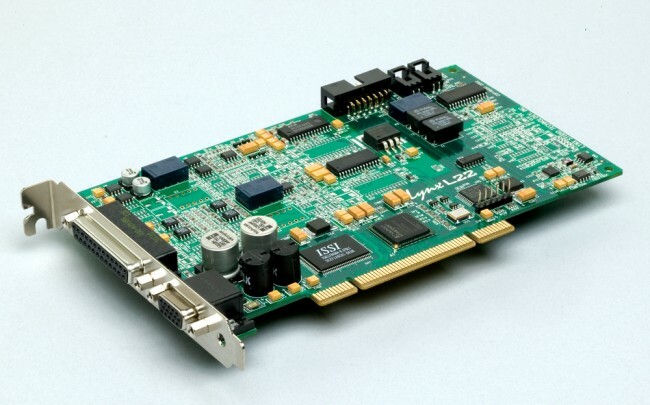 Audio Science makes several different sound cards, which are used in BSI and others in automation systems. These cards run about $675 each. Windows 2000, XP and Linux software drivers available. There are several other cards and card manufactures which do not use balanced audio. These cards can be used with caution, but it is not recommended in high RF environments like transmitter sites or studios located at transmitter sites. Appropriate measures for converting audio from balanced to unbalanced must be observed. Further, there are many ethersound systems coming into the product pipeline which convert audio directly to TCP/IP for routing over an ethernet 802.x based network. These systems are coming down in price and are being looked at more favorably by broadcast groups. This is the future of broadcast audio.